Since the Jessie only comes in whole sizes, if you're between sizes we recommend going up to the next whole size. *Use the handy printable templates below to confirm your size before you buy. The Jessie fits true to size. Cute enough to pair with your favorite outfit. 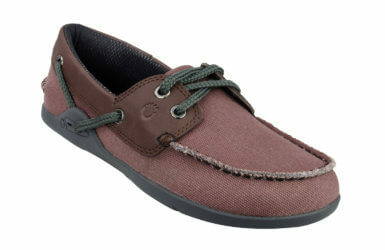 Rugged enough to pull out of your backpack and use as a camp shoe. Eye-catching enough that you may not make it down the street without someone stopping you to chat. With its simple toe strap and secure, Velcro ankle strap, the Jessie will let you do whatever you want to do. It’s meant to be a casual sandal, but if you have to break into a quick sprint, it’ll handle that, too. Our product designer’s wife, Jessie, used our DIY sandal kit to develop the design that inspired this sandal, and we’re proud to honor and thank her for it with this namesake sandal. Since the Jessie only comes in whole sizes, if you’re between sizes we recommend going up to the next whole size. What can I do in the Jessie? Although our Jessie is a more casual sandal you can still do practically anything in them. Take a walk on the beach, a hike in the woods, hang out with friend, stroll around the campsite, dance your heart out! Pretty much anything you want. I’m not sure that the Jessie, or any sandal for that matter, is right for lateral motion sports, like tennis or basketball. So, use your common sense and HAVE FUN! To clean your Jessie sandals, hand wash with warm water, mild soap and allow them to air dry. 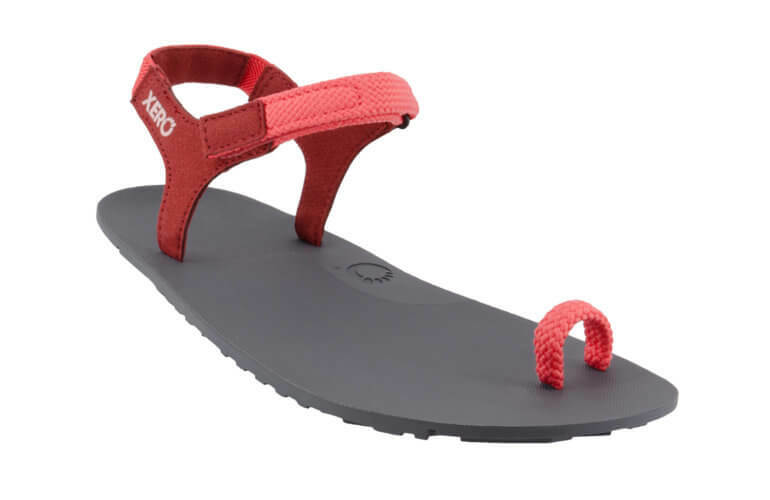 These sandals combine two basic requirements I have for summer shoes - 1) they let me experience walking as close to natural barefoot feeling as possible whilst offering protection for my skin, and 2) no blisters from rubbing straps. The sole is just the right thickness to protect from any potentially dangerous stuff on the surface and to offer a little bit of cushioning but it is thin enough to force me not to slam down heel first as I would in normal shoes. I regularly walk barefoot at home and on the beach, and these sandals let me walk in pretty much the same way everywhere. The fastening is super simple and super effective. Typically, I get blisters and abrasions from straps regularly, regardless of what brand/type of sandals I am wearing, and regardless of how well broken-in the sandals are, and whether it's synthetic or leather, cheap or high end brand. The Jessie sandals are a perfect snug fit, once I get the correct tension on the ankle strap that's it, no rubbing and no shifting. For me this is the ideal summer shoe. They are not the cheapest option, especially for an overseas buyer, but well worth it. Please, please do not stop producing these, I will be coming back. Jessie - a masterpiece in design. Like I stated in the title of the review, this is one magnificent sandal. This sandal will find high acceptance from men as well as from women. I am male and wear men's size 9, and I ordered the women's size 11, which fits me 99% as is. I sincerely hope that Xero will offer this design in men's sizes. I generally wear the DIY true feel sandals, and I find that the Jessie just as durable and comfortable for wear anytime. The toe ring is made of polyester rope like material, and the ankle strap consists of like material,and part of it is elasticize. 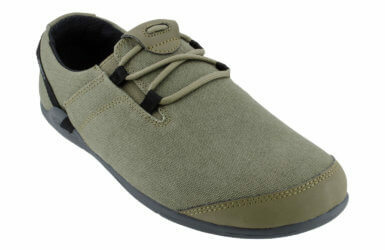 Adjustment is very simple, and the sandal stays put on the foot during all sorts of activity. 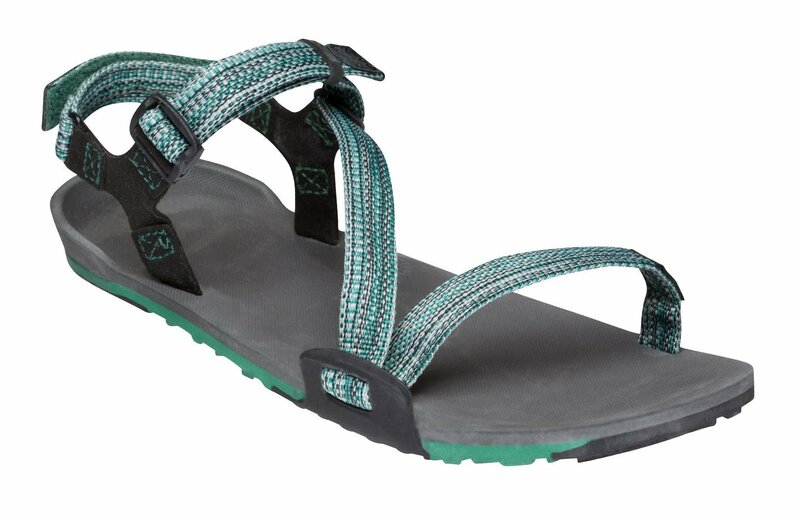 Comfort is superb, just like the DIY true feel sandals. Not surprising, because the sole is made of the same material ( 5.5mm thick). Fellows, don't hesitate to order the Jessie if it is to your liking. You'll love it as much as I do. Men, drop Xero Shoes an e mail to , and let them know that the Jessie design appeals to you also, and encourage them to start offering them in men sizes. I love the way Jessie fits, so comfortable while staying in place and moving with me! I love that they are so light and small to pack when I travel too! I am so glad I bought these!! I love the minimalist tow-hold and the fact that they fasten and stay fastened in a way that doesn't require me to readjust every few steps or risk losing them - an improvement over the Amuri cloud. They also don't have the tendency of the sole to flip and bend under my foot if I accidentally drag my feet. If only they had the soles of the Amuri with the "whisper of comfort" - they would be SOOOO perfect... :). I'm wearing them a lot, but will also try to see what replacing the laces of the amuri with flexible laces will give. I love my new Jessie sandals. They are so light, fit so well around the toe. They are functional enough to take the dog for a walk and pretty enough to wear with a dress on a summers evening. These shoes let my feet be feet!